Editors:Hill, Lori Diane and Levine, Felice J. 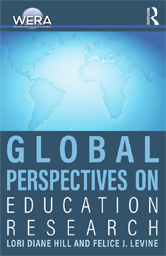 Global Perspectives on Education Researchechoes the breadth and scope of education research worldwide. It features the work of established and emerging scholars from a range of universities and research institutions in Africa, Europe, and North America.